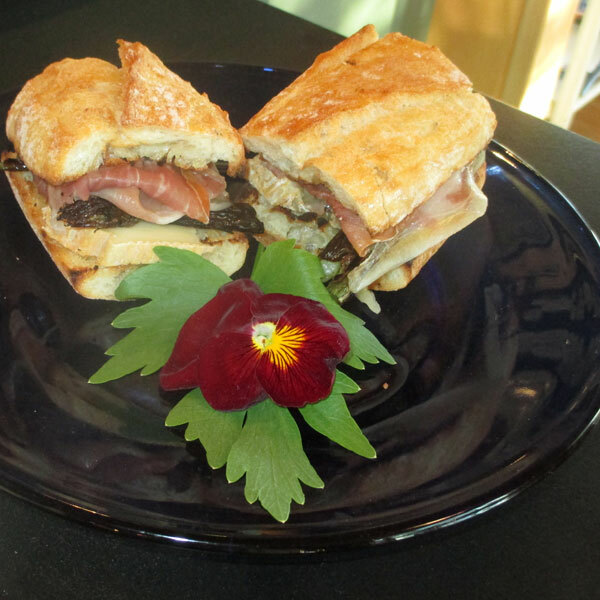 These sandwiches are delicious when wrapped in foil, transported to your picnic and gently heated. 1 bunch asparagus about ½ lb. Melt the butter in a small saucepan over low heat. Stir in the chopped garlic and set aside. 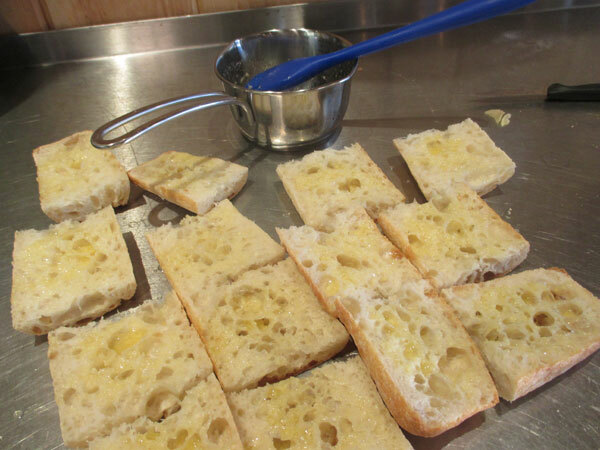 Slice the baguette in half horizontally, then cut into sandwich-size pieces. Brush each piece with garlic butter. Trim the ends of the asparagus. Coat with a thin layer of olive oil. Heat the grill to medium hot. 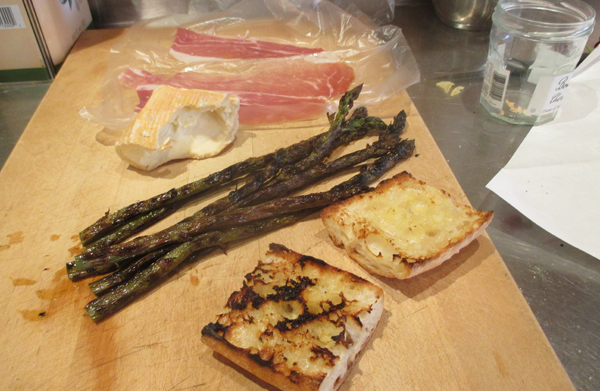 Grill the asparagus, rolling frequently, until just cooked and slight charred. Remove from heat and cut to sandwich-sized lengths. Grill the buttered baguette. 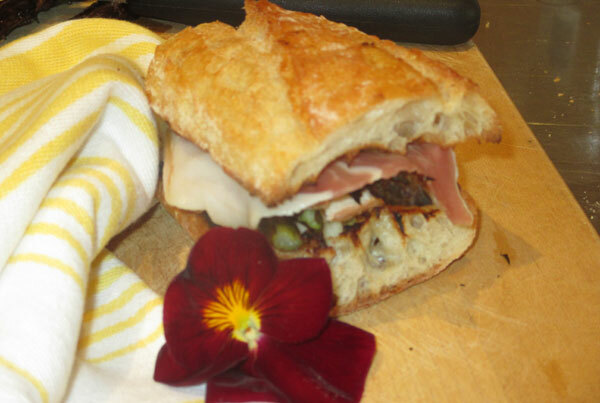 To assemble the sandwich, spread the cheese on the bottom half of the sandwich, layer the asparagus and top with the prosciutto. Nutritional analysis per sandwich (varies): 416 calories, 21 grams protein, 35 grams carbohydrates, 22 grams fat, 1365 mg. sodium, 3 grams fiber.